An adventure trip has to be unexpected, right? I am pretty sure it has. But still, I did not think the adventure would already start with the flight. 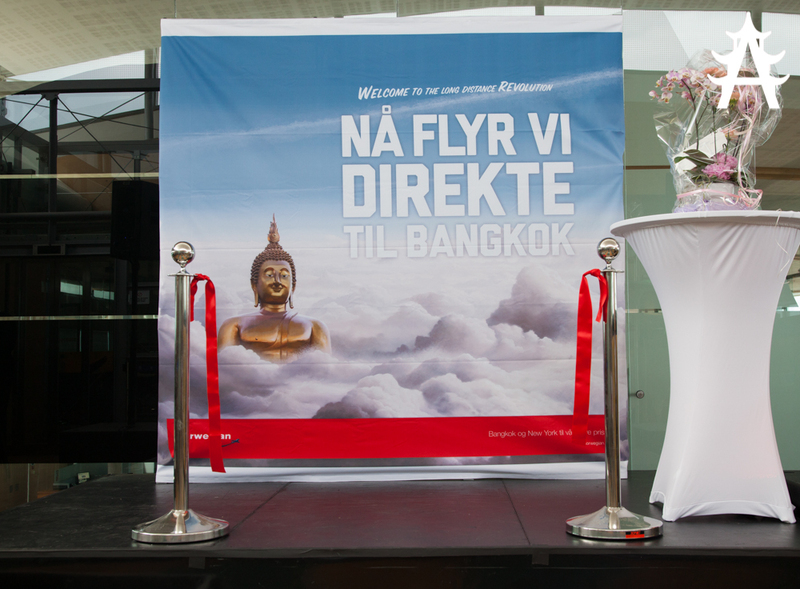 For the first time ever I chose Norwegian Airlines, a not so cheap european discount airline, that advertised their new route, Berlin-Bangkok via Oslo. Since I wanted to get to Bangkok as quickly as possible I decided to book them for June 01, coincidentially the first time they are flying the route. Even though I only booked oneway, the airfare still was pretty expensive. They are very new in the longhaul flight business, so I expected the airplane to be less well equipped than say a Lufthansa aircraft. Even though I had these concerns, I still booked them. If I would have decided to choose a different airline I would have had to wait until August in order to get a comparable price. Now, I must say everything was pretty much as expected. No food, no drinks, no entertainment system (they informed me of this less than 24 hours before my departure time). But still, they made it to surprise me: The connection flight from Oslo to Bangkok (remember, it is the premiere date, its the important first time they are flying this route) was delayed more than two and a half hours. I really did not expect this. And the reason for this was also interesting: Their newly acquired Dreamliner would not be ready in time, so they had to rent another aircraft to do this flight. And pretty much exactly when we were supposed to depart, they attached their norwegian logos to the airplane, which then took a while to dry and be adhesive enough to not fall of in the air. Of course things like this can happen but especially in the context of my previous concerns, this really proofed me right. At least they served free orange juice and spring rolls to satisfy the waiting passengers at the airport. In the plane itself however, no free extras were handed out. To sum it up: Norwegian, you disappointed even my lowest expectations and I will not book you again.